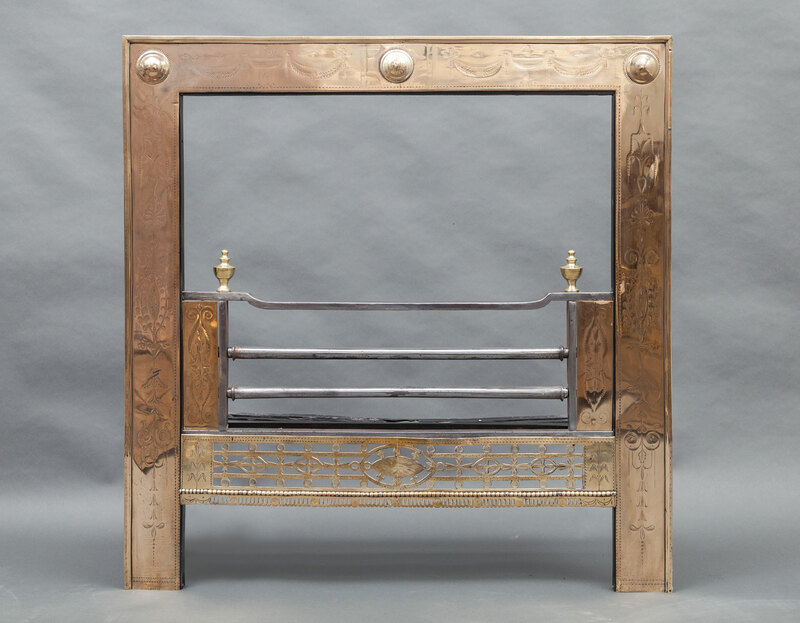 The brass surround and fire cheeks are engraved with neo-classical motifs. The basket has four polished bars surmounted by urn finials. 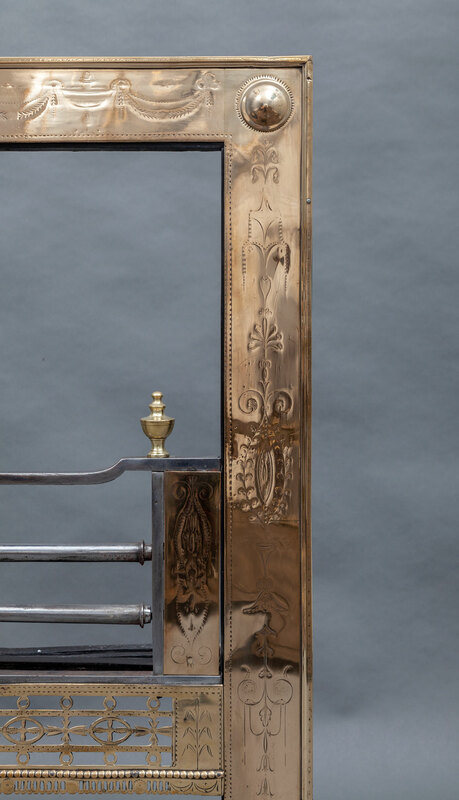 Below the bars is a pierced and engraved brass apron.